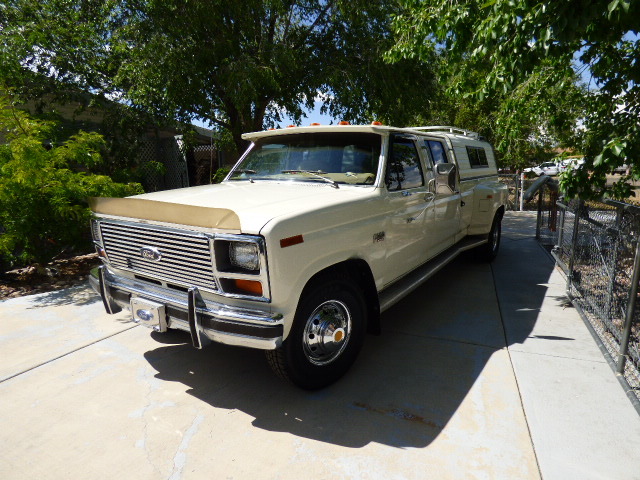 1986 Ford F-350 XL Crew Cab Dually is Offered with the Mountaineer Camper Shell. An excellent Package. The Original Tailgate is Included with this Truck. 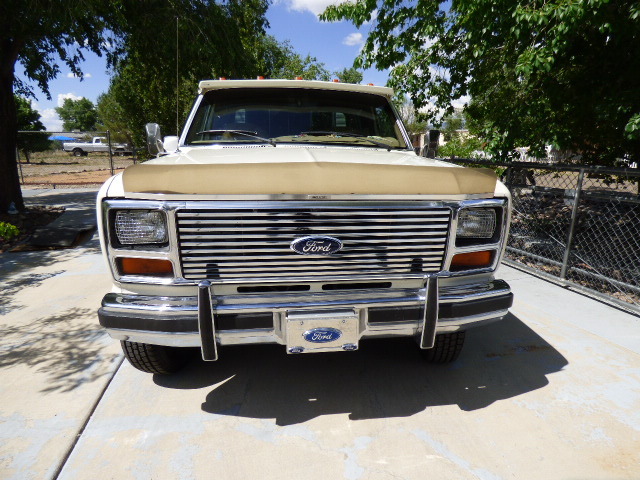 This F-350 XL Dually was Originally Special Ordered from Sanderson Ford in Phoenix, AZ. A Two Owner Truck that has remained an Arizona Truck throughout its Entire Lifetime. Currently offered For Sale by the Second Owner, who has had this Well Kept Truck for over 15 years. Original Paint is in Excellent Condition. Interior is Like New. New Tires. Carpet, Seats and Headliner are Flawless. Nice Dash Mat. Drive-train is all Original. 460 V-8 Power Plant, C-6 Four Speed Automatic with Trans Fluid Cooler, 4:10 Rear-End. A/C is Ice Cold. Cruise Control, Tilt Steering Wheel, and Trip Odometer. Power Front Disk Brakes and HD Rear Drum Brakes. Heavy Duty Towing Capacity. Where else are you going to find a combination like this, in such great condition, for such a great price? Full size 4- Door 1 Ton Dually Truck with the High Quality Mountaineer Camper Shell for only $7995. Trades may be Considered. Call me to share your ideas. Thanks for looking! American Racing Chrome Plated Steel Wheels. Braided Stainless Steel Valve Stem Extensions for Inside Tire Inflation. Easy Access Air Valve for Firestone Air Bags. Tires are New LT 235/85R x 16" E-Rated 10 Ply with Under Bed Matching Spare. Large Chrome Exhaust Tip. 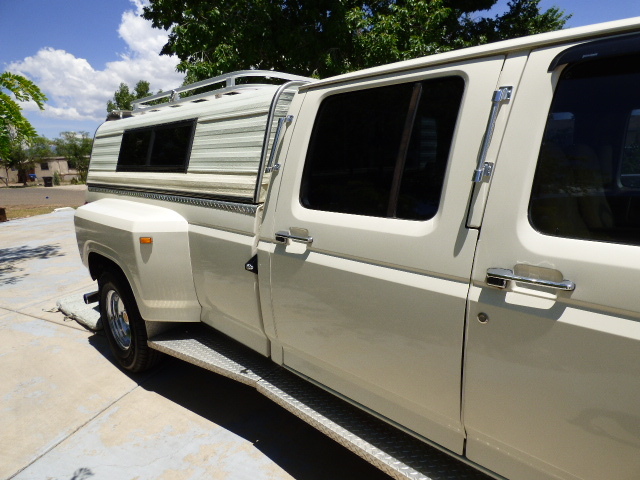 Mountaineer Camper Shell is in Excellent Condition. Be sure to scroll down to see all the pictures...Everything Works and has been kept in Original, Like New Condition.